It’s always fun to go home. Playing in front of family and friends you grew up with is special. Seeing Mom & Dad in the first few rows still gives me such a happy feeling. Especially since they’ve been seeing me in bands in bars since I was 15 years old. Yes, my first gig at McVans was at the age of 15 with the Dan Harper Blues Band. My drums and me snuck in the back door. Don’t get me wrong. I love performing around the country and meeting new friends. It’s especially fun when they come up after a show and have knowledge of Femmes of Rock. We’re not U2 so I still get a kick out of when someone has done their homework and are genuinely excited to meet us and attend the concert. The girls rocking the “Highway Star” solo. Femmes leader, Nina D. and myself are both from the Western NY area. 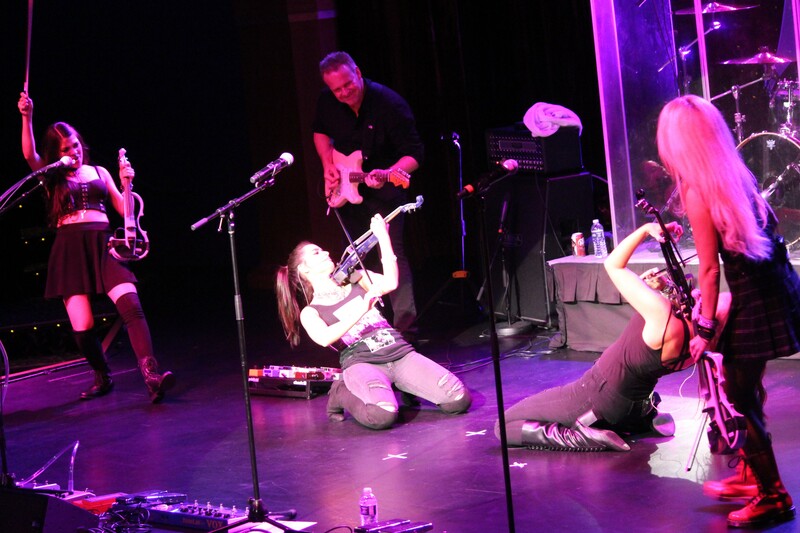 On August 11, we returned home to perform at the Bear’s Den at Seneca Niagara Casino in Niagara Falls, NY. It was a homecoming for three of us in the band, actually. I love performing with my favorite bass player and fellow ROCK member (that explanation is a whole other story for another day) in the world, Mike Kelly. We went to Kenmore East high school together and are now reunited to thrash with the Femmes at every show. John and Nina do some Pink Floyd. It was a bit of a miracle that the evening was a huge success and went off without a hitch. We will return next summer to the Buffalo area. Not quite sure where yet. I like to do something different whenever we return to a city. Brody joined us for surprise vocals on Bohemian Rhapsody. Maybe a Femmes of Rock show with the Buffalo Philharmonic? Maybe a co-headlining spot at Artpark with another group to help us fill that big place? Let us know where you would like to see us next!